Let's get together to build your creativity! This is a fun and lively two day hands on workshop. 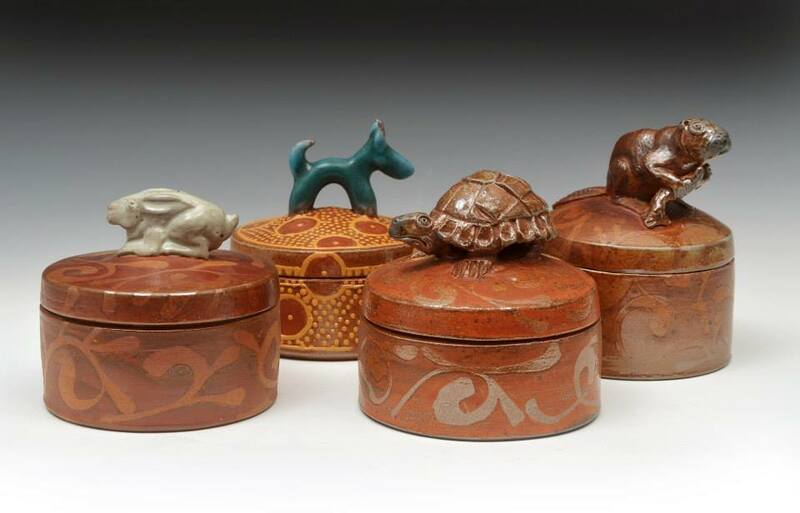 Alison will show you different ways in which she makes her boxes by using coils and slabs. Starting with the concept, we’ll make the templates and work together to make fantastic boxes. She will show you her methods for making the lids,feet,handles and knobs. In this workshop you will be making tools that could be used to decorate your pieces. Alison Palmer was born and raised in New York. 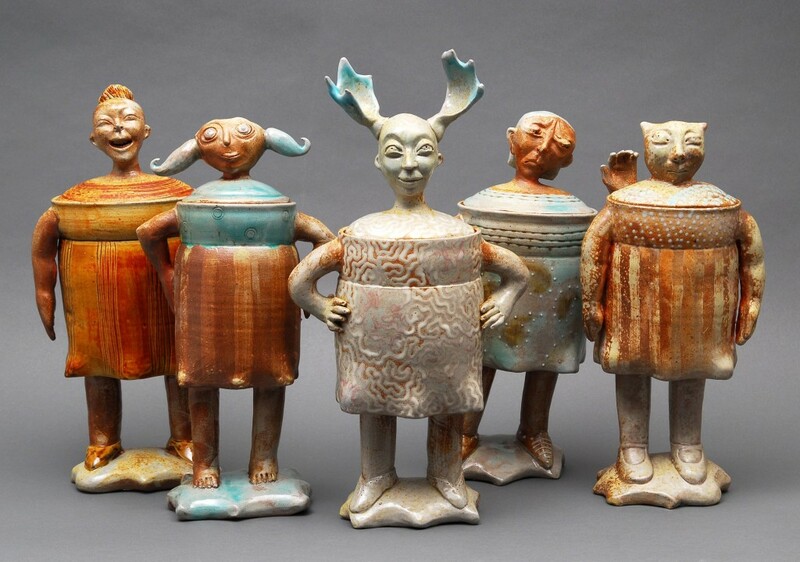 After graduating high school, she attended Kansas City Art Institute as well as the California College of Arts and Crafts where she received her BFA in ceramics. Alison then returned to New York where she implemented a “treatment through crafts” program at Four Winds Psychiatric Hospital in Katonah. While teaching at Four Winds, Alison began her own studio at a converted old schoolhouse in Croton Falls, New York and now resides and creates in Kent, Connecticut with her husband, and musician, Steven Katz. 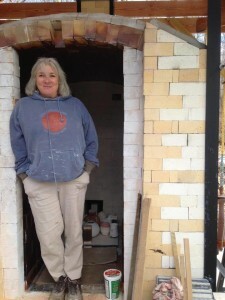 Alison is known worldwide for her own work and has been conducting her own workshops for years along with hosting workshops with some of the world’s finest potters at her studio. See Alison’s work on her website and follow her on Facebook. This entry was posted in Pottery by Earth Center Pottery. Bookmark the permalink.